Droga5 founder David Droga and The Handmaid's Tale costume designer Ane Crabtree are among the stellar lineup. Design Indaba is Cape Town's premier conference for the creative industries. 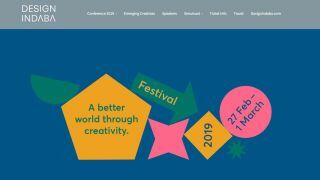 Kicking off on the 27 Feb, the three-day event will focus on how creativity can create a better world and bring to the stage top creators who are doing just that. Among this year's impressive line up is founder of New York City-based global advertising agency Droga5, David Droga, The Handmaid's Tale costume designer Ane Crabtree and award-winning design critic and author Alice Rawsthorn. And that's not all. Sitting alongside them you'll also find the founder of clothing line movement Orange Culture Adebayo Oke-Lawal, the Principal of Selldorf Architects Annabelle Selldorf and Vice President and Chief Design Officer at 3M Company Eric Quint. As well as a plethora of stellar speakers, the Design Indaba programme includes a curated lineup of music – including international acts and a foray into the best of African music right now. There's also the annual Emerging Creatives programme, which puts the spotlight on the up-and-coming design talents to watch, and we'll discover which design will earn the title of Most Beautiful Object in South Africa this year. And if that wasn't enough to keep attendees occupied, there are also various seminars and workshops, including the highly acclaimed Trend Forecast by design doyenne Li Edelkoort. For those in and around South Africa who can't make the event in person, the Design Indaba Simulcast will provide a live screening of the main conference to various venues across the country. This is part of an initiative by Design Indaba to distribute the knowledge shared at the conference with a younger audience and those unable to attend. Tickets for the Simulcast will be available from mid February. If you're outside of South Africa and don't fancy hopping on a plane to Design Indaba, Creative Bloq will be reporting live from the event, bringing you the latest news and views from the world's creative elite. If this all sounds fantastically full on, that’s because it is. And we can't wait to bring you all the action direct from Cape Town. What are the best-paid creative jobs in 2019?